But there certainly are not so many men of large fortune in the world, as there are pretty women to deserve them. 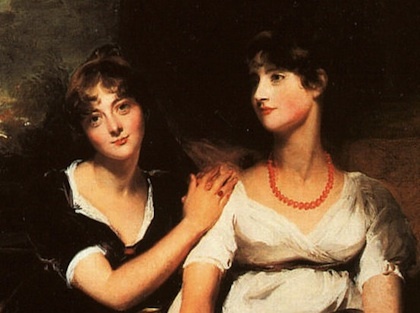 All of Jane Austen's six novels follow the heroine's (or heroines') journey from love—or, to use other words that occur in her novels, regard, esteem, gratitude, and attachment—to marriage. At a time when few women had sufficient means to live independently and divorces were difficult to obtain, the choice of a marriage partner was a fateful one. It was also a difficult one, thanks to a combination of interrelated demographic, geographic, and economic factors. It is significant, I think, that in Pride and Prejudice all of the men in whom the Bennet sisters express a marital interest, or who express a marital interest in them—Darcy, Bingley, Wickham, Mr. Collins, and Colonel Fitzwilliam—come from outside the Bennets' home county of Hertfordshire. The limited society of a small village or town might provide few potential marriage partners. Mrs. Bennet boasts to Darcy that "we dine with four-and-twenty families," unaware that she has just confirmed his observation that "In a country neighbourhood you move in a very confined and unvarying society." At the beginning of the 19th century only about a third of the population of England lived in towns of 2500 inhabitants or more, and London was the only city with more than 100,000 inhabitants. Most women faced a pool of potential suitors that was indeed "confined and unvarying." "Younger sons cannot marry where they like." "Our habits of expense make us too dependent, and there are not many in my rank of life who can afford to marry without some attention to money." "I am not romantic, you know. I never was. 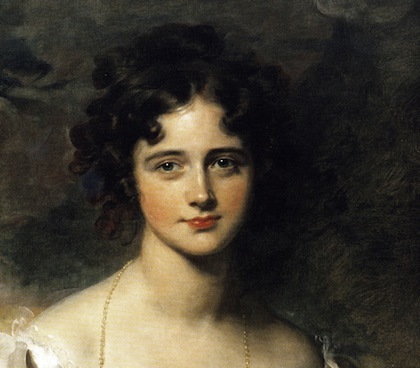 I ask only a comfortable home; and considering Mr. Collins's character, connections, and situation in life, I am convinced that my chance of happiness with him is as fair, as most people can boast on entering the marriage state." "Better feelings," though, might be considered a luxury by women who, in the absence of a husband of at least some means, might face poverty, isolation, or (worse, in some cases) indefinite residence in her parents' home. But women attempting to "marry up" were facing the highly stratified nature of the British class system. In the early 19th century, the pseudo-gentry, gentry, and aristocracy together made up less than a third of British families. A daughter of a clergyman, barrister, small estate owner, or successful tradesman would find that most of the men she encountered on a daily basis would be considered unsuitable as objects of her matrimonial aspirations. The top of the wealth pyramid was very narrow; one economic historian has estimated that in 1790 there were only 400 landowning families with annual incomes between £5000 and £50,000 per year. In 1803 there were more than 2 million families in England; even if inflation and population growth between 1790 and 1803 had increased the number of families in the highest income brackets, they still represent a fractional percentage of the population. Considered in purely economic terms, Elizabeth Bennet is fortunate indeed to marry Darcy, whose annual income is reported to be £10,000, and her sister Jane nearly as lucky to marry Bingley, whose fortune is in the neighborhood of £100,000. These two young men would have been among the wealthiest bachelors in England. I had read Pride and Prejudice three times (over 20 years) before embarking on the Six Months with Austen project. But I was surprised to find that this time it seemed like a different novel. Mainly, I found it to be more explicit than I remembered. I had prided myself on divining what I thought were hidden feelings in the characters, and subtle nuances of their situations. But, like a certain character of Austen's, I discovered to my chagrin that my pride was mistaken: Austen is generally very clear about her characters' thoughts and feelings. This did not diminish Pride and Prejudice in my view in any way; it remains for me, thanks to the delightfully witty, flawed, and sympathetic character of Elizabeth Bennet, Austen's most purely enjoyable novel. For 1811 demographic figures, see "Population Statistics: Comparison of Population, England, by County, 1801 and 1811" (http://www.napoleon-series.org/research/abstract/population/population/britain/c_popcomp.html). The percentage of the population between the ages of 15 and 34 in the 1810s was estimated from "Table 1: The age distribution of the population of England and Wales, 1821-1971" in Francois Bedarida, A social history of England, 1851-1975, Methuen, 1979, p. 13. Austen, Pride and Prejudice, I. ix. ; 9. Pride and Prejudice, III. xiv. ; 56. Pride and Prejudice, I. iv. ; 4. Pride and Prejudice, I. xxi. ; 21. Pride and Prejudice, II. i.; 24. Pride and Prejudice, II. x.; 33. Fifty thousand pounds would result in an annual income of about £2500. To put this in context, we learn that Elizabeth herself will ultimately receive £1000 from her mother, resulting in an annual income of about £50. Pride and Prejudice, I. xxii. ; 22. "Table 6: Social hierarchy and size of income from the seventeenth to the twentieth century (in percentages) 1688-1867: England and Wales" in Francois Bedarida, A social history of England, 1851-1975, Methuen, 1979, p. 216. 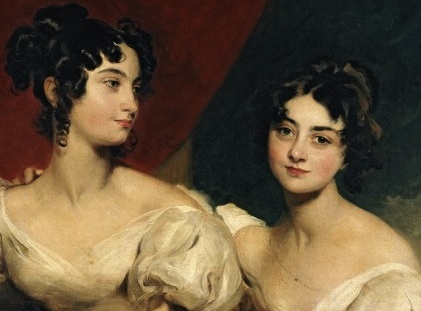 Referenced in James Heldman, "How Wealthy is Mr. Darcy—Really? Pounds and Dollars in the World of Pride and Prejudice." Persuasions 12, 1990, 38-49. http://jasna.org/persuasions/printed/number12/heldman.htm Heldman's calculations of the modern equivalents of early 19th century wealth are somewhat dubious; a more nuanced attempt is made by Katherine Toran in "The Economics of Jane Austen’s World," Persuasions On-Line, 36(1), 2015. http://jasna.org/persuasions/on-line/vol36no1/toran.html Although exact comparisons are, of course, impossible, she calculates that Darcy's income represents something between about US$1 million and US$16.5 million in today's currency.